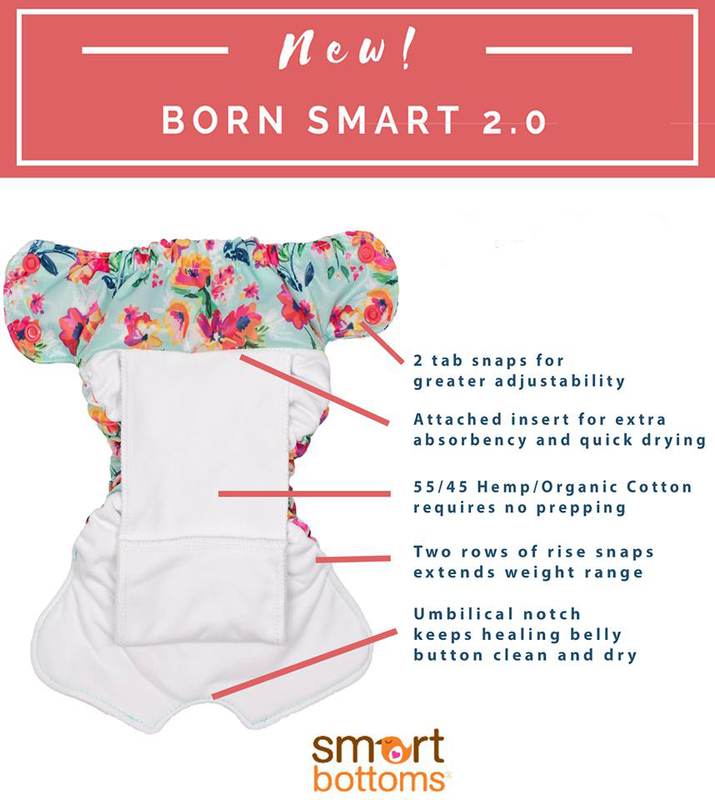 Meet the new and improved Born Smart 2.0 from Smart Bottoms! 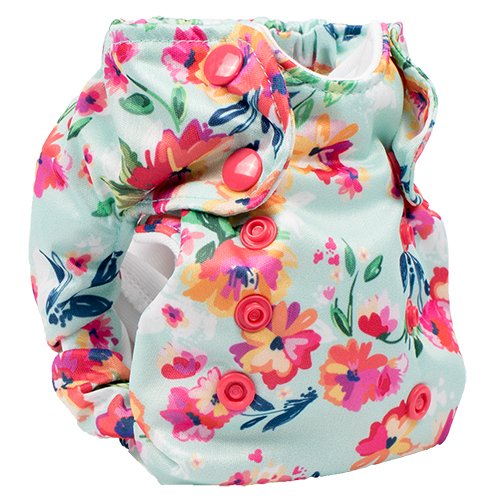 The Born Smart 2.0 is the next generation newborn cloth diaper from Smart Bottoms. 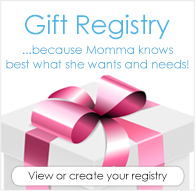 We took all of the features that customers loved about our original Born Smart and improved upon them. Longer rise and an additional row of rise snaps. Sewn-in insert for ease of use and quick dry time. Extra row of tab snaps for better fit around tiny legs. Umbilical notch to keep belly button area clean and dry. Care Instructions Wash and Dry Warm. Do not use bleach or fabric softener. Smart Bottoms Diapers are proudly made in the USA! GroVia's NEW & IMPROVED Newborn All In One Diaper is simple to use--snap on and go! Improved design reduces leaks and has an optimized fit. 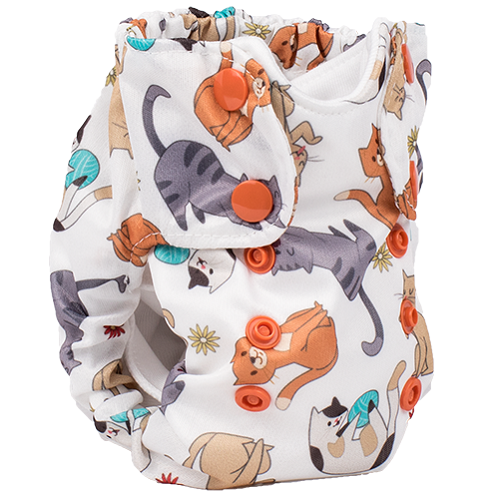 The Smart One 3.1 is a super trim, one-size, all-in-one organic cotton diaper designed for babies 8-35lbs. I loved these with my second baby (I cloth diapered my first but I didn't have any of these). I can't wait to use these on my third (due in February). They were so absorbent and the fit was great! I have a very small baby, still not 10 pounds at two months old and these newborn diapers have never fit. They are sooo small that they barely get around her and they have always leaked. They didn't work at 6 pounds, so how they are saying they will work until 16 pounds is beyond me. Love the prints and the softness, but just don't fit well. I thought these would get me further than the simplex based on the description, but the blueberry simplex newborn size is still going strong. I really wanted to love these. They're organic and are so cute. But they are so tiny! I could barely get these on my 9lb newborn. They leak as well. When I would go to change him, half the diaper was dry still. I even prepped it the recommended the amount of washes. Really disappointed. Beautiful color (Dublin) and fantastic quality!